I live in SW London in `Nappy Valley’ (near Clapham Junction). I have 2 children 1999 and 2001 (well technically they are teenagers now so let’s not talk about the slamming doors! ), but on the plus side, this does mean I have no worries about childcare! I cover all of South and Central London. I have supported births at Chelsea & Westminster, St Georges, Thomas’s, Kings, Kingston and The Portland Hospital, both NHS and Private births. I have supported home births, water births, births in the birth centre and labour ward, epidurals, VBAC births, and been in theatre supporting C-Sections. I have also supported women with medical problems and I have communicated with the senior midwives and/or obstetricians to make sure my mothers get the best support possible. I truly believe that every mother has the right to birth the way she wishes – whether that is under the stars, or in hospital with all the drugs, and everything inbetween. I do not bring my own agenda, and I make no judgements. I just want you to have the best experience as possible “Your Baby, Your Way”. Giving birth to your baby is one of the most wonderful and life-changing experiences you will ever have. It will, in turn, challenge and reward you. This is why a positive birth experience is so important. My aim is to help you feel confident, prepared and supported before, during and after your birth. There is much more about what I can offer at my website, together with some very useful videos about birth, and postnatally. If you have any questions, please do feel free to get in touch. “I was initially drawn to Katie because of her warm and non-judgmental demeanour and because I sensed that she had a genuine love of supporting women through pregnancy and labour. This proved to be totally the case. During the pre-natal visits, Katie made sure that she understood my wishes and mine and my husband's needs and anxieties and provided us with really helpful advice and information about labour and caring for a newborn. "My decision to have a doula present at the birth of my first child was a way of helping me manage my anxiety and ensure that my husband and I were able to have the best possible birth experience. I wasn't quite sure how having Katie present at the birth would play out on the day - but come D-Day she was incredible! Needless to say, my birth plan didn't quite go how I hoped it would, but Katie did everything she could in challenging circumstances to keep me calm and focused. She provided much needed support to my husband as the labour progressed and acted as a professional advocate on my behalf when dealing with the medical staff. While baby no.2 is a little way away, I am absolutely certain I would want Katie to act as my birthing partner again." "The best decision I ever made was to have Katie as my doula. I have always had a fear of giving birth and from our very first meeting with Katie, who was so empathetic and supportive, that we instantly connected. I knew right then she was the perfect person for me and my husband. My labour had it's complications and therefore I didn't get to have the natural birth I had hoped for, but with Katie by my side, she made me feel in control of what was going on, well informed, supported and relaxed that without her I honestly don't know how I would have got through it. If you are thinking of hiring a doula, I can 100% recommend Katie. And from my sincere heart t you Katie, thank you for being my rock and superstar throughout the day and night I was in hospital, being by my side and never leaving it. You turned around what could have been a traumatic experience into a positive one filled with lovely chats and even some laughs though the difficult patches. I am forever grateful." "Having our first child so far away from family and friends in New Zealand, in an unfamiliar health system, was quite daunting for us. Which is why we looked into getting a doula. Katie was great - always available for any queries we had, she has a wealth of knowledge on everything, from what to expect at the hospital, as well as the birth itself. We had planned a natural water birth but when that plan changed to a C Section, Katie worked with us to find alternative ways to support us. Her help in the hours, days and weeks after the birth of our daughter was invaluable. We had a relatively stress-free pregnancy and birth, and I think a large part of that was achieved by knowing I always had Katie to call on for advice, and give me peace of mind in what is generally an anxious time." "Katie was an invaluable and integral part of my birthing experience. I felt I could place my trust in her to have my best interests at heart and specific wishes conveyed at the hospital and her strong, yet caring nature enabled me to relax and concentrate on my labour. Meeting with Katie twice before meant we created an understanding and rapport and the times that we met after were a wonderfully refreshing way of helping to release the pre-labour stress and wonder in what we had achieved. 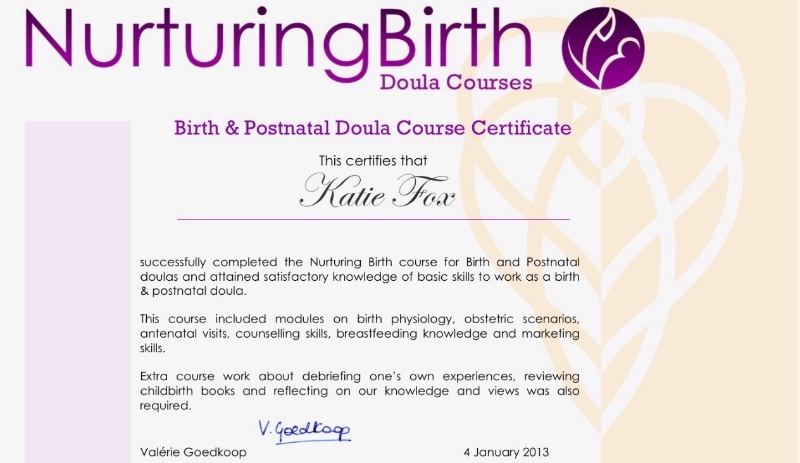 I would recommend Katie to anyone who wishes to have a doula at their birth. She is flexible and adaptable in her approach to each individual birth that you feel she just instinctively knows what you need." "Katie was invaluable during my birthing experience and we don't know what we would have done without her! Her support, experience and reassurance made the whole process more bearable, especially when we had problems at the hospital, being firm and making sure hospital staff knew what we needed. Before the birth Katie was also kind, friendly and open to what we wanted in terms of birthing plan, rather than pushing any 'personal preferences', likes and dislikes. We would certainly recommend Katie to anyone considering hiring a doula and hopefully will hire her again when we think about the next one!" "Katie was a wonderful birth partner and she played a vital role in our birth experience being such a positive one. As soon as I spoke to Katie I felt that she was warm, supportive and committed to helping my husband and I have the birth we wanted. The pre-birth visits were extremely useful with Katie sharing lots of practical advice over and above the things we learned on our NCT course. During our extremely long labour, Katie was absolutely brilliant, staying with me throughout and giving my husband a chance to get some rest. She wasn't fazed by the changes I made to the birth plan. She was reassuring, calm and positive and worked really well alongside the midwives. I was glad we had her by our side. When our baby finally arrived, the photos and videos that Katie took were some of our most precious mementos. Katie's support didn't end with the birth - she visited us several times afterwards to make sure that we were all doing well and organised appointments for us with a lactation consultant. She did everything possible to ensure that our daughter's arrival was an incredible experience and I would recommend her as a fantastic doula." "It meant the most enormous amount to both of us to have Katie helping at our son's birth and found her support and kindness during the process - being before, during and after the birth, to be incredibly invaluable. The birth we had was in many respects far from ideal, but we viewed it as a very positive experience and strongly believe this is due to her amazing reassuring, calming and supportive presence. We are both so hugely grateful to her for making that day so special for us both. Following the birth Katie stayed in very close touch and provided words of comfort and reassurance in some difficult moments which meant a huge amount. We cannot recommend Katie highly enough - she is absolutely wonderful". "Katie was a very kind, caring and friendly lady. She gave me a lot of support and gained my trust in her. She felt like a friend after my first meeting her. I was her first birth. I believe she was meant to do this job as she was so friendly and helpful." 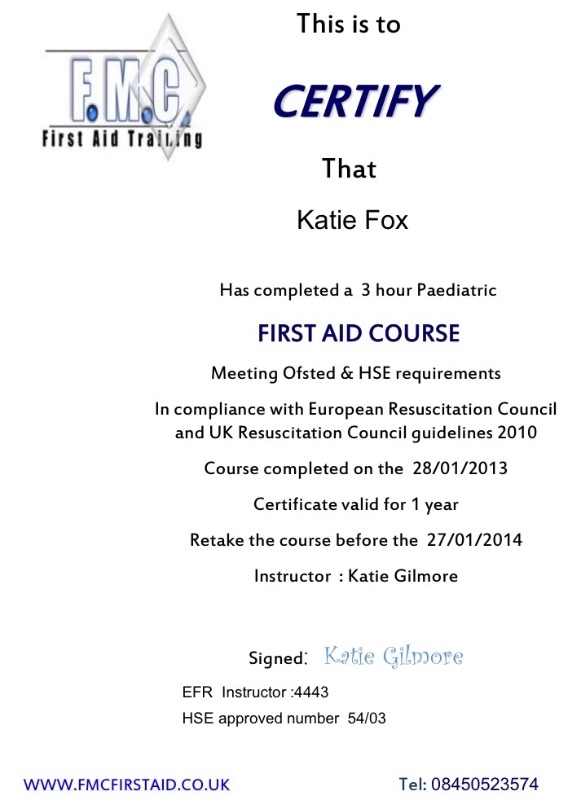 "Katie was enthusiastic, supportive and helpful throughout. She considered our specific needs and desires and worked hard in applying all her experience and knowledge in helping us throughout the birth, even when we encountered difficulties." 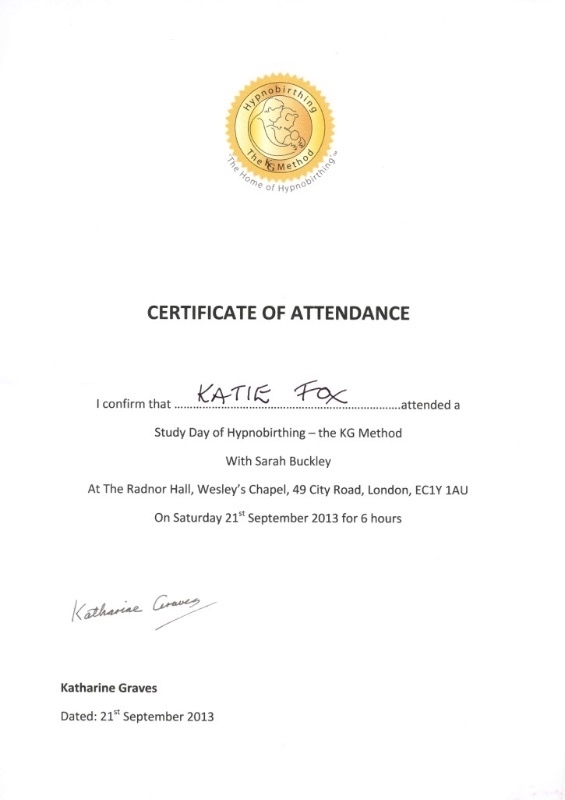 "It was so lovely to have Katie here during my home birth. Thanks to Katie my child's birth was a wonderful experience. You will always be a part of our family and we wish you all the best." "Katie was flexible and reliable, kind and friendly. She was happy to sit and chat, but also very enthusiastic to help practically in any way. As it happened I didn't need much help but I could tell she would have done so much more had it been required." "We chose Katie as our birth & postnatal doula. We had a wonderful experience with her before, during and after the birth. Katie was absolutely irreplaceable. Katie was a great comfort for my husband, she managed to keep him calm when needed. After the birth, he felt more comfortable going back to work knowing that Katie was home with me. I was looking for someone knowledgeable, calm, warm and understanding to help me through this emotional period in my life, and Katie was all that! My husband feels that hiring Katie as our birth and postnatal doula was the best decision ever, and we feel very lucky that Katie's personality was so much in tune with what we needed." "After a lot of discussion with my husband over whether to have a doula, we decided to go ahead and I'm so glad we did. I have a rare medical condition and Katie wasted no time researching it, contacting the relevant teams at St Thomas's and arranging a meeting with the head midwife, all of which made a huge difference to the care I received at the hospital and my post-natal experience. She provided invaluable support and respite for me and my husband before, and during a long labour and helpful pre and post appointments. I'd definitely recommend Katie to friends and family who are expecting." "Katie has a wonderful ability to develop a close relationship quickly, as she did with both me and my husband through our pre-birth meetings, and so we were confident we could rely on her. Katie's presence during labour and our son's birth proved to be invaluable, not least given under-staffing of the hospital! Katie sat with me through the night, helping me to remember Hypnobirthing relaxation techniques that I had been learning, and allowing my husband time to sleep for a while. Katie was also an excellent intermediary between us and the hospital staff, ensuring they knew our birth plan wishes, resulting in a very positive birthing experience for us all. It was also good to have the debriefing sessions after the birth, not least to be reminded of some of the key moments of the labour and birth. We would heartily recommend Katie to anyone considering having a doula." "Katie was recommended to me by a friends doula to help me with the arrival of my little girl. Not having my family nearby made a doula even more important. Knowing when the time came I had someone experienced to call was so reassuring. The range of information and sessions with Katie before gave me such confidence. Katie has a very calming effect on babies which was a god send when I got home and needed help those first few days." "Katie, I am so lucky to have had you as my birth doula! You were my epidural! Katie is very experienced, enthusiastic, confident and has great communication skills . She really respected my culture hence I Highly recommend Katie to all pregnant woman ! Thank you for being part of my 'important once in a life time journey, it was exactly what I needed!" "Katie was my birth doula recently - she was recommended through another doula and a consultant midwife at St Thomas's' - so I knew I was in safe hands. I ended up having a c-section and Katie provided invaluable support during that time including the first few days at the hospital after the operation when we really needed someone. I knew I could call her at any time of the night and she would be there to help e.g to help us get a few hours of sleep when our baby couldn't sleep at the hospital. I would highly recommend Katie for the moments when you need someone to be a helping hand to navigate those first days of parenthood".